Said Ibrahim has been named the inaugural senior associate dean for diversity and inclusion at Weill Cornell Medicine in New York. He was the co-director of the Department of the Veteran Affairs’ National Center of Innovation for Health Equity Research. Dr. Ibrahim holds a bachelor’s degree from Oberlin College in Ohio and a medical doctorate from Case Western Reserve University in Cleveland. 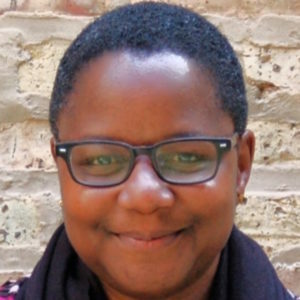 Narda E. Alcorn has been named chair of the stage management department at the Yale School of Drama and Stage Management Advisor at the Yale Repertory Theatre. She was an associate professor and head of stage management training at the Tisch School of the Arts at New York University. Professor Alcorn holds a bachelor of fine arts degree from DePaul University in Chicago and a master of fine arts degree from the Yale School of Drama. 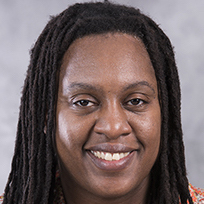 Melicia Whitt-Glover has been named executive director for the Center for Excellence in Eliminating Health Disparities at Winston-Salem State University in North Carolina. She has been serving as interim director since 2016. Dr. Whitt-Glover holds a bachelor’s degree and master’s degree in exercise physiology from the University of North Carolina at Chapel Hill and a doctorate in epidemiology from the University of South Carolina. Keith C. Ferdinand has been named to the Gerald S. Berenson Endowed Chair in Preventive Cardiology at the Tulane University School of Medicine in New Orleans. He currently serves as a professor of clinical medicine at the Tulane University Heart and Vascular Institute. Dr. Ferdinand hold a bachelor’s degree in biology from the University of New Orleans and a medical doctorate from Howard University in Washington, D.C.
Ruby L. Perry has been named to the Alabama Environment Management Commission by Governor Kay Ivey. She is the dean and vice provost for undergraduate education at Tuskegee University’s College of Veterinary Medicine. Dr. Perry holds a master’s degree in microbiology from Michigan State University and a doctorate of veterinary medicine from Tuskegee University.